Manufacturer of a wide range of products which include imitation jewellery mold and silicone imitation jewellery mold. Being a leader in this industry, we are devoted towards providing a premium quality array of Imitation Jewellery Mold. We are a unique entity in the industry, actively committed towards offering the optimum quality range of Silicone Imitation Jewellery Mold. 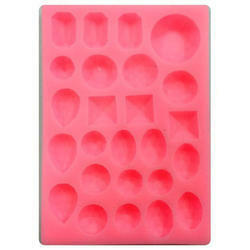 Looking for Silicone Jewellery Mold ?